*New* Zipper Case Available in black or silver Includes: *Battery - 650mAh USB Pass Thru *He.. 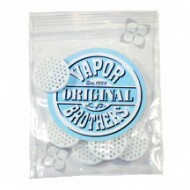 Eliminate all metal from your air stream with this molded ceramic screen- exclusively designed by &a..
Vapor Brothers Ceramic Screens for EZ Change Whips. 5 in a Pack. 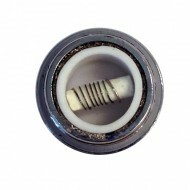 We are loving wickless ceramic cores! They undoubtedly taste better over time. To improve their effi..